What else did we do during our trip to Malaysia? 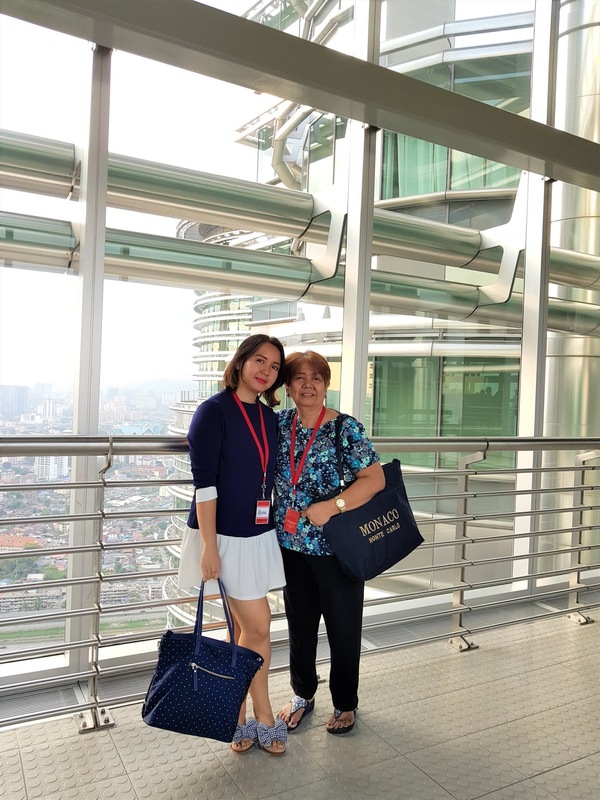 We had another country side tour and of course not to be missed, we went to visit the famous landmark, the Petronas Twin Towers! During our Malacca tour, we learned so much history. 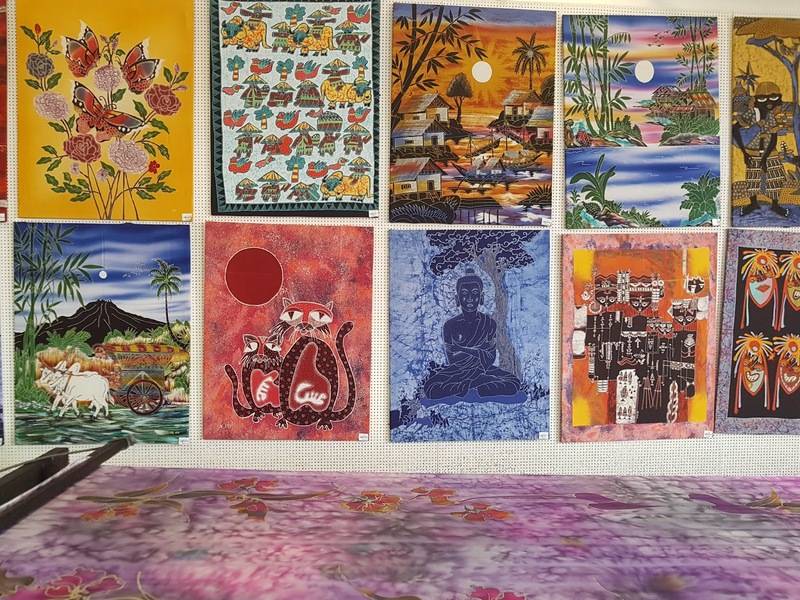 In this tour, we still got a glimpse of history but we also learned about their culture. 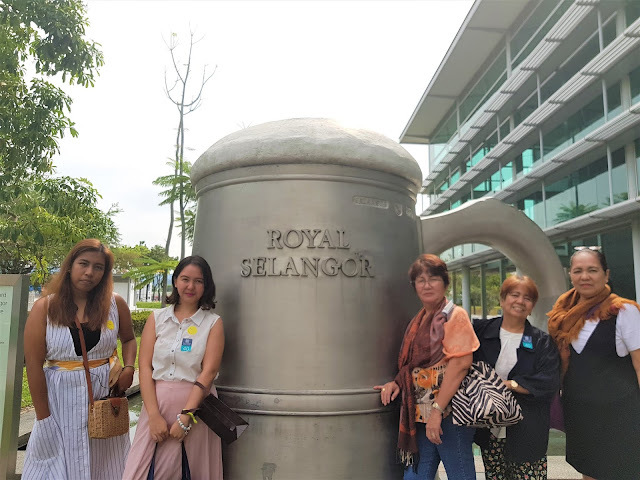 Our first stop was a visit at Royal Selangor, a world famous company known for its quality pewter, which is a gray alloy of tin with copper and antimony. It's here that we witnessed first hand the art of pewter crafting and saw the many possible designs and uses of pewter such as children's gift, kitchen utensils and even as fashion accessories. 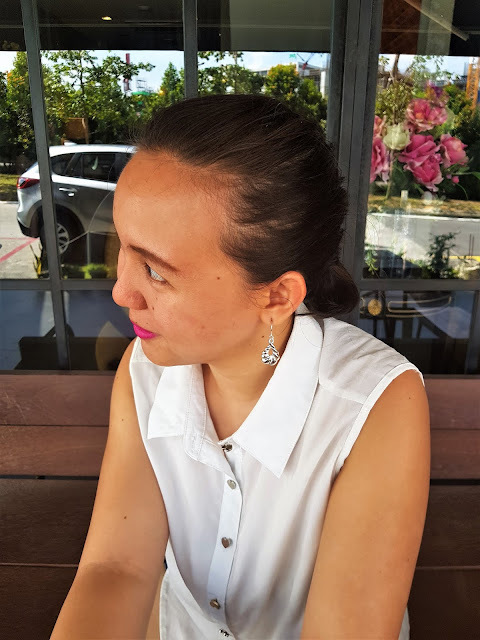 My mom bought me a pair of earrings from Royal Selangor - the most expensive souvenir I have ever gotten in my life so far! But who am I to complain? They are gorgeous! I even wanted to get the necklace and/or the ring of the same design but that's just too much. Also I had to be honest to myself - I wasn't much of a necklace or ring person. If you want to know more about Royal Selangor, you can visit this site. We also had a stop at a batik shop. 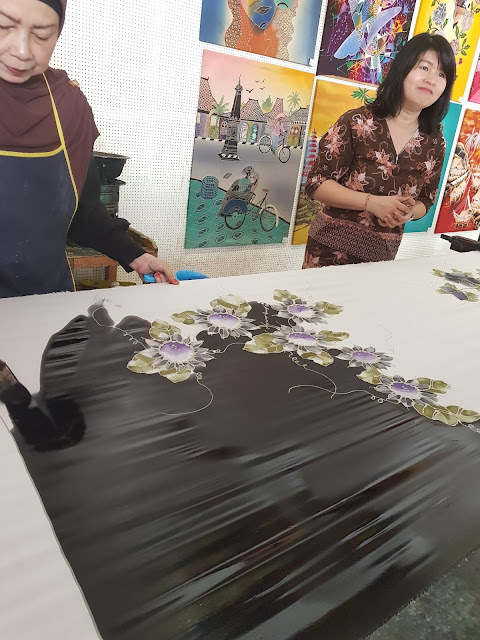 Here we were shown how batik designing is done. It's basically dyeing a fabric using wax so the fabric doesn't absorb the dye. 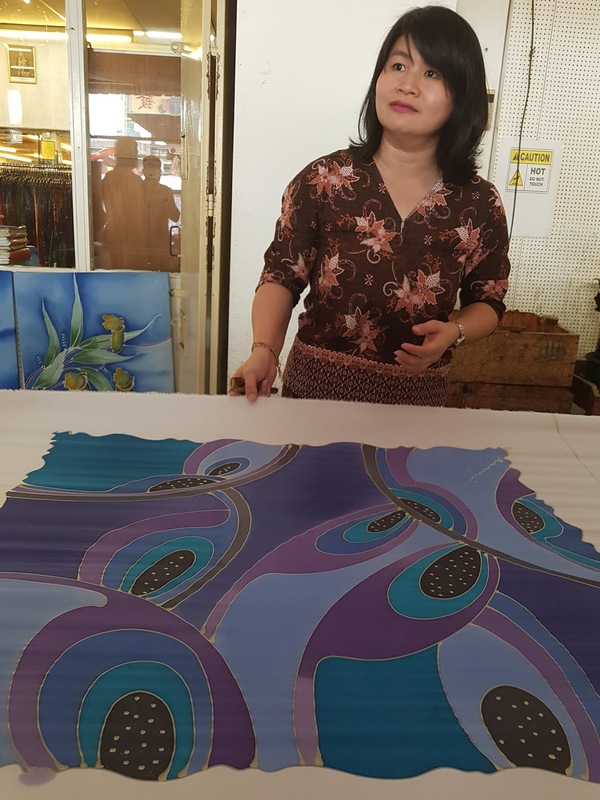 I saw something like this done during my travel in Bali, Indonesia which I think is where batik originated from. 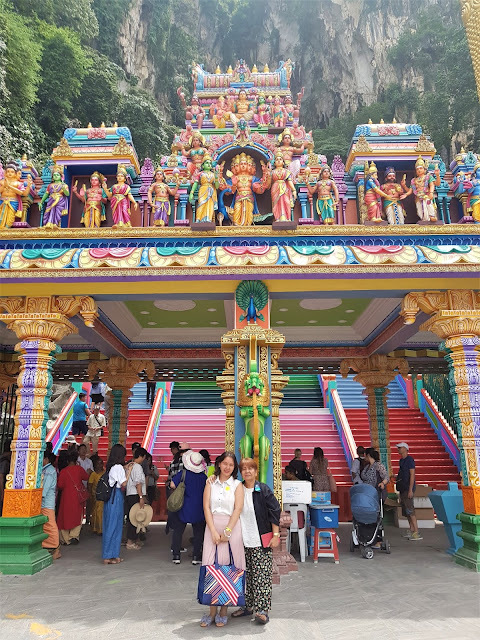 The highlight of this tour of course was Batu Caves, a limestone hill composed of a series of caves and cave temples. It's a frequented tourist attraction in Malaysia. 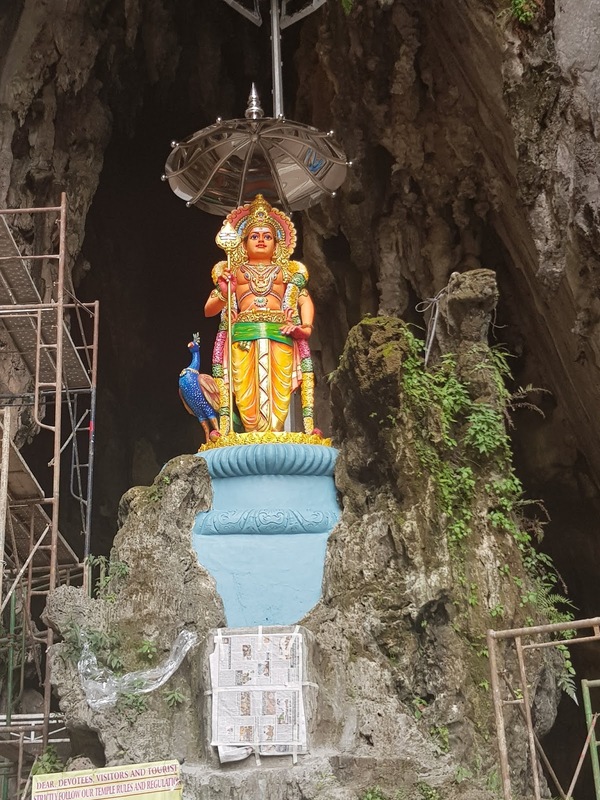 Batu Caves is actually a religious site for Hindu. It's dedicated to Lord Murugan, the Hindu God of War. 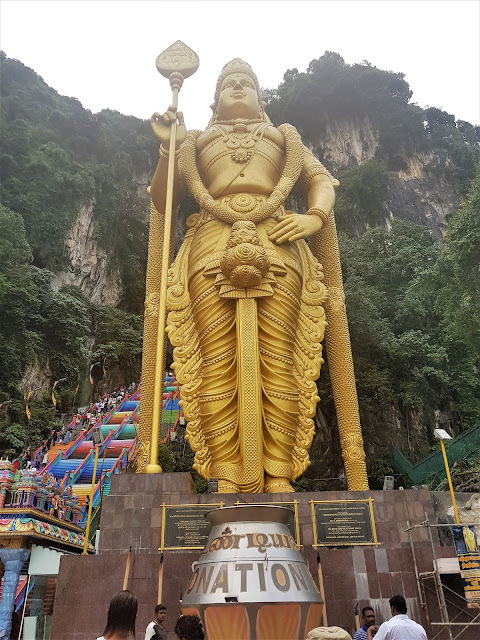 You'll see his statue at the entrance of Batu Caves. Since it's still a sacred place, if you're visiting Batu Caves, make sure to wear comfortable clothes that also don't show a lot of skin like shorts or spaghetti tops. Don't worry though, the locals pass around a fabric that you can use as cover up since there are a lot of tourists that either are probably not aware that there's a dress requirement when you visit. My mom and I just before climbing up the colorful but steep flight of 272 steps to get to the top of the main cave. Am so proud of my mother - the woman's got strong legs! 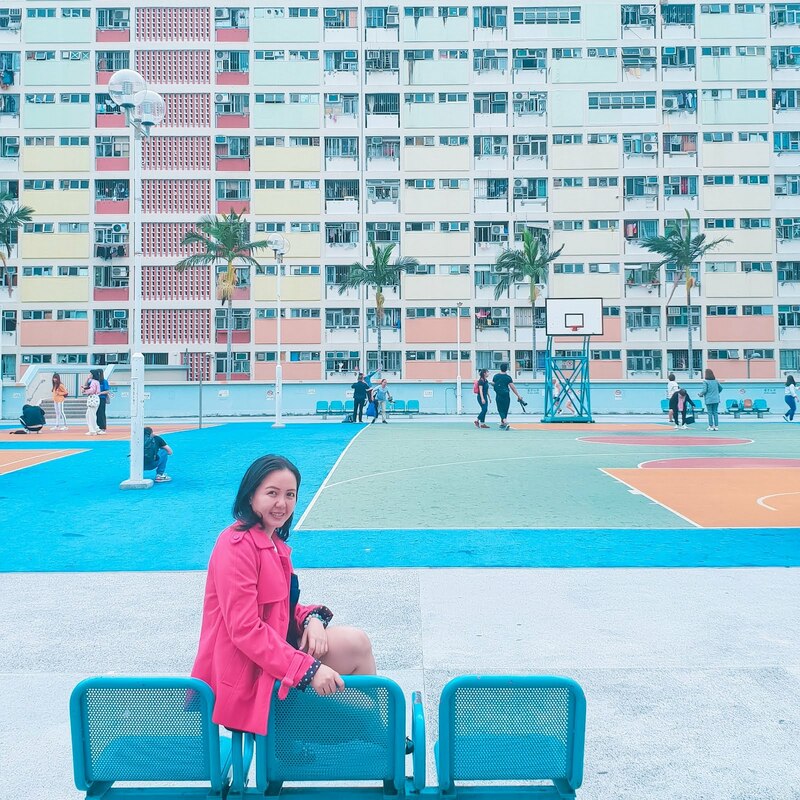 While her friends struggled to get to the top, she made it look easy. My mom and her friends getting in the way of this shot! LOL! 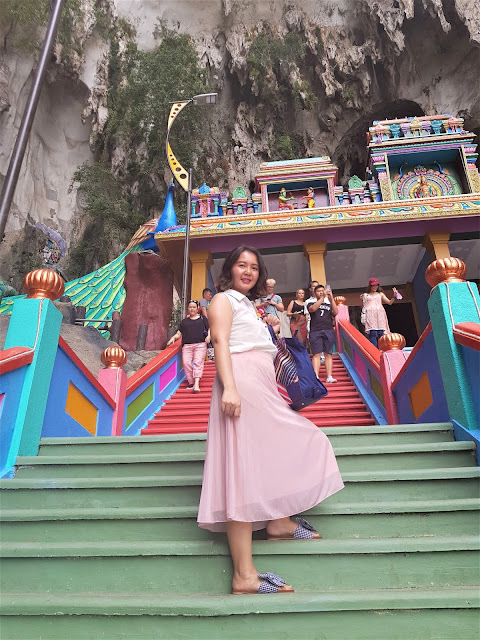 For our Batu Caves tour, I chose to wear my white sleeveless cotton top from Bayo paired with my Dorothy Perkins pastel skirt since we were going to a place of worship. I topped the whole look with my Tally blue Teelle sandals which I first saw Kelly Misa wear. Look at that! People from all sides, each posing for photos just like me. 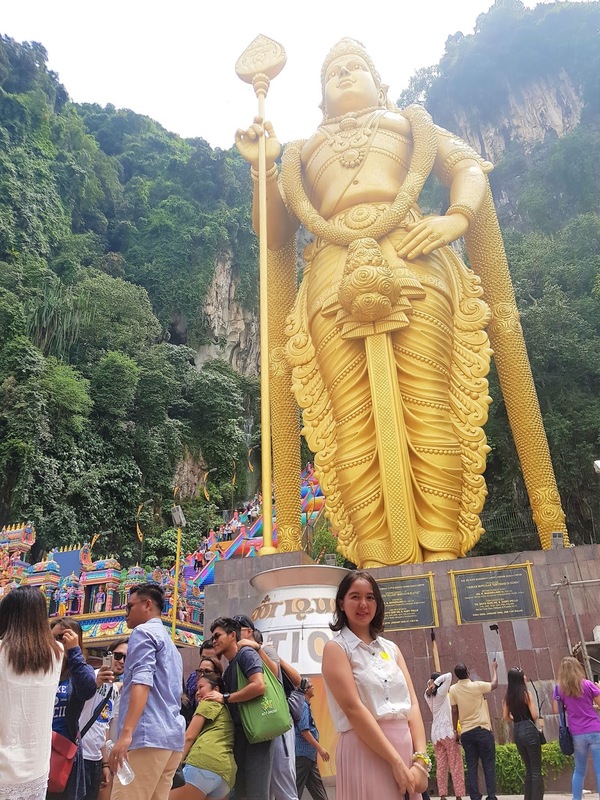 Anyway I think there was a sort of Hindu occasion during our visit because there were different Hindu related rituals and celebrations ongoing which I guess added to the number of people at Batu Caves. 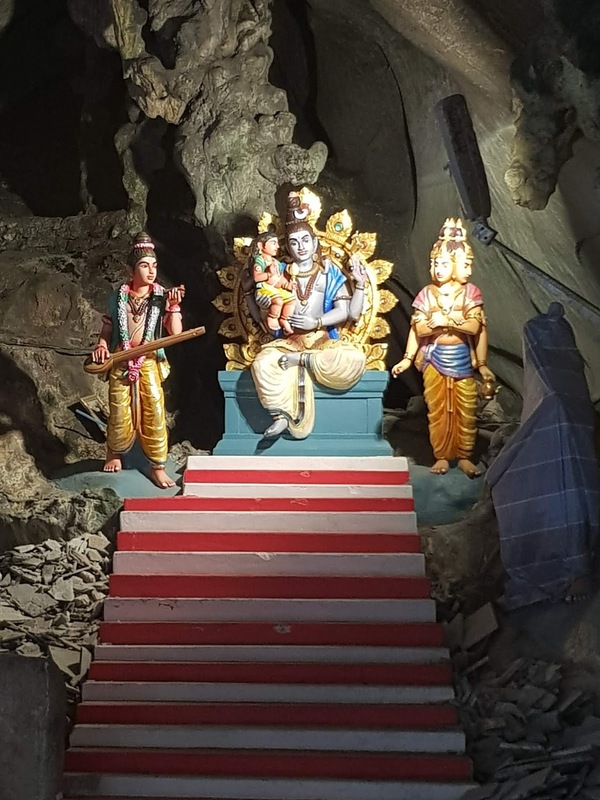 When you reach the top of the cave, you'll see more statues of what I suppose are more Hindu Gods. Just watch out for the monkeys while you climb up. 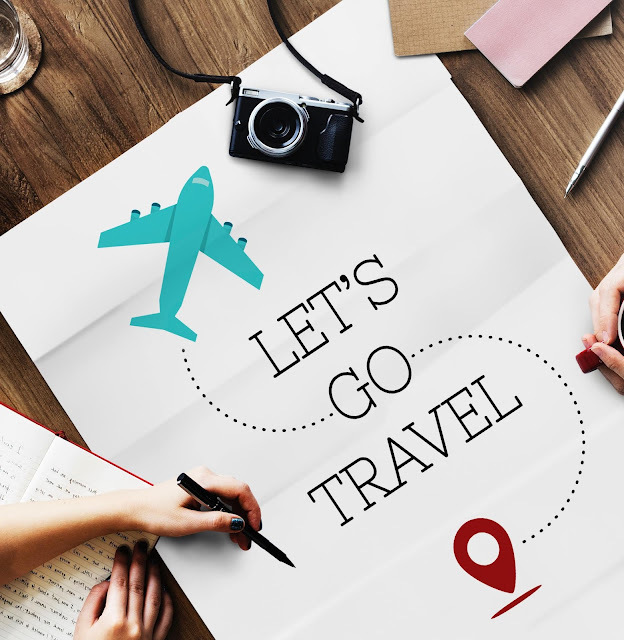 They might rummage your bags thinking you've got food on you so don't best not to bring food and keep your belongings close to you. 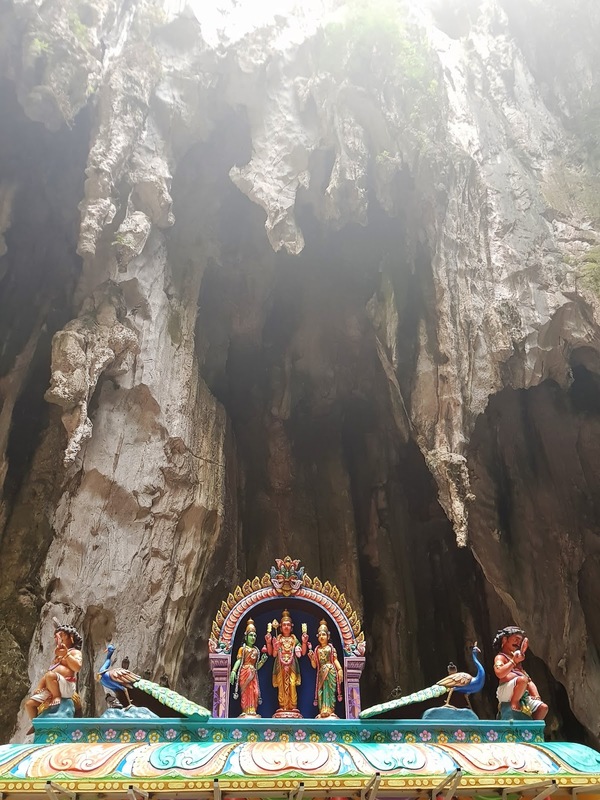 Oh and if you've got more time, there are more caves to explore at Batu Caves like the Dark Cave though that's got a separate fee. Also I don't think it's recommended for older people because I read that it involves more climbing, crawling and even sliding. During our whole stay in Kuala Lumpur, my mom and her friends' asked me one question repeatedly. "Ngayon ba tayo pupunta sa Petronas?" (Are we going to see Petronas Twin Towers today?) Finally, on our fourth day in the country, I took them there. I booked our tickets via Klook again since I read that lines going up the towers can get long (who wants to wait in line?) and you might not even end up getting the schedule you wanted! At least with Klook, I was not only able to secure our tickets to go up Petronas Twin Towers but we also had a ride going there. Seeing Petronas Twin Towers up close at last! 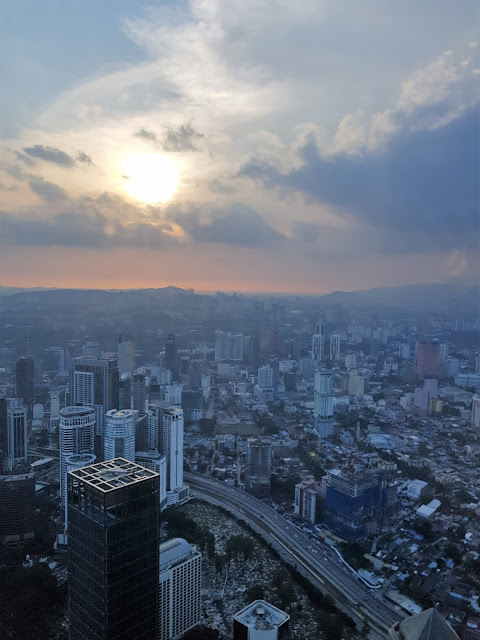 If you want an amazing view of Kuala Lumpur, go inside the towers although I read that some tourists prefer to see the skyline view of the city from Kuala Lumpur Tower since it's got a better view. 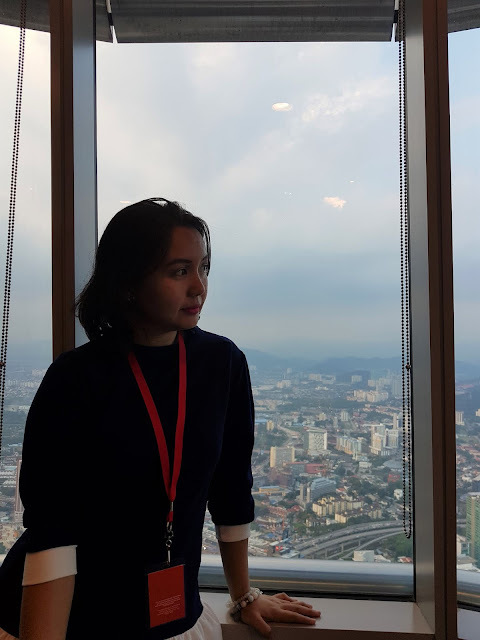 Lucky me I saw a breathtaking view of the city from both towers because we also visited KL Tower. Don't ask me which will give you the better view. I liked the view from above on both. I guess partly because I saw the city view from the top at different time frames. Also I'm not hard to please. 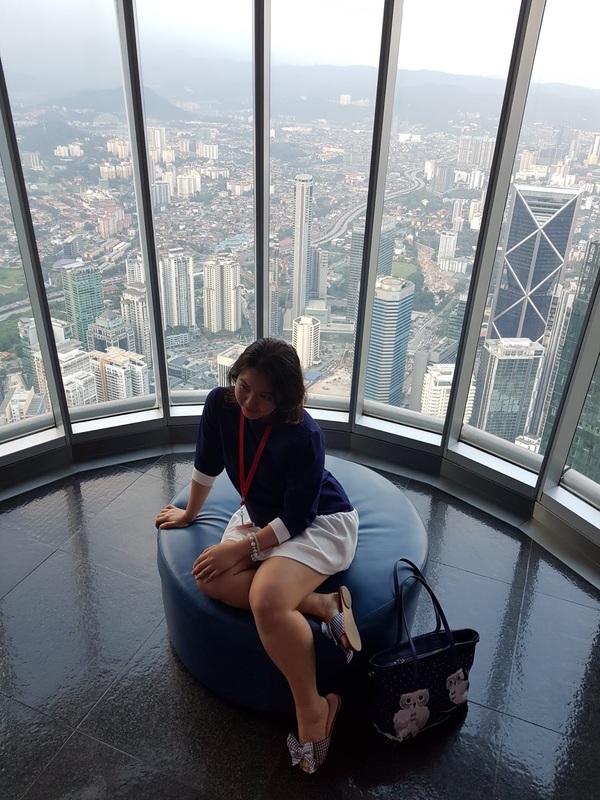 The tour inside Petronas Twin Towers will take you to Skybridge at the 41st and 42nd floors and the Observation deck at level 86 which gave us these panoramic views of the city. 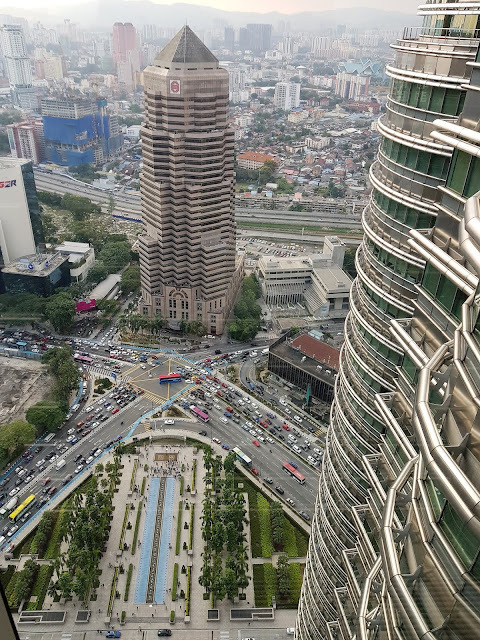 And finally, here's my favorite shot from my visit to The Petronas Twin Towers. I had to use fish lens on my mobile phone to capture this shot because no matter what angle Mai Ann did (kneel, lie down on the ground, sit, etc.) 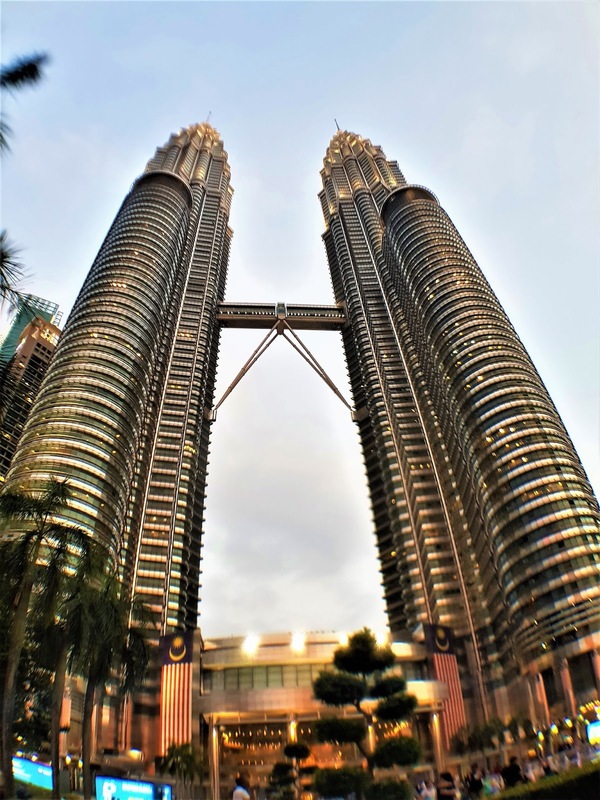 the photos just couldn't capture up to the twin towers spires considering the Petronas Twin Towers are so tall! So we bought the fish lens being sold by the Filipino vendors in the area which to be honest at the start we ignored but one of 'em with persistence managed to convince me to let him show me the wonder brought by using fish lens. The vendors are nice actually. They even showed my friend and I how to use the fish lens. My mom even managed to get one of them to take their (hers and her friends) photos using my phone with the new lens! LOL! 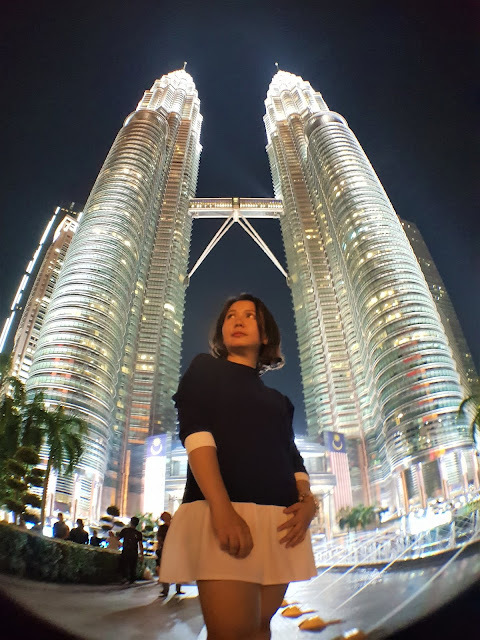 We really waited for night fall when the towers are all lit up just to get this shot and it quite a wait because even at seven in the evening, Kuala Lumpur's still looks as though it's only afternoon! My mom was becoming impatient with me already especially when we took so many shots just to achieve this! But you know, when I was going to be back in Malaysia? I just had to take the chance! Finally, I have a photo of me seeing the Petronas Twin Towers that I could show to everyone. 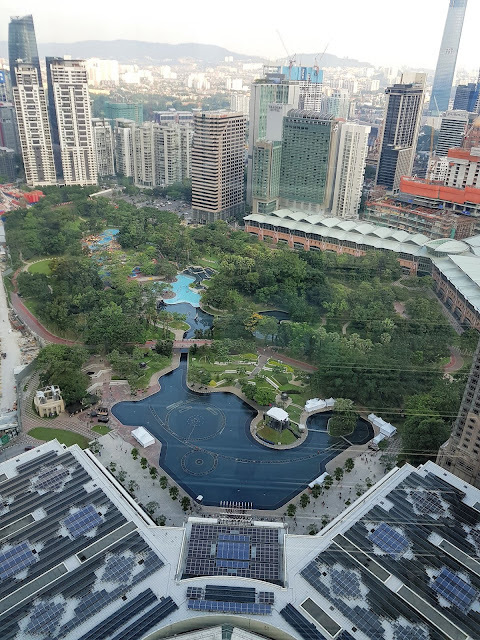 And finally, after six years, I can actually say I went to Malaysia! 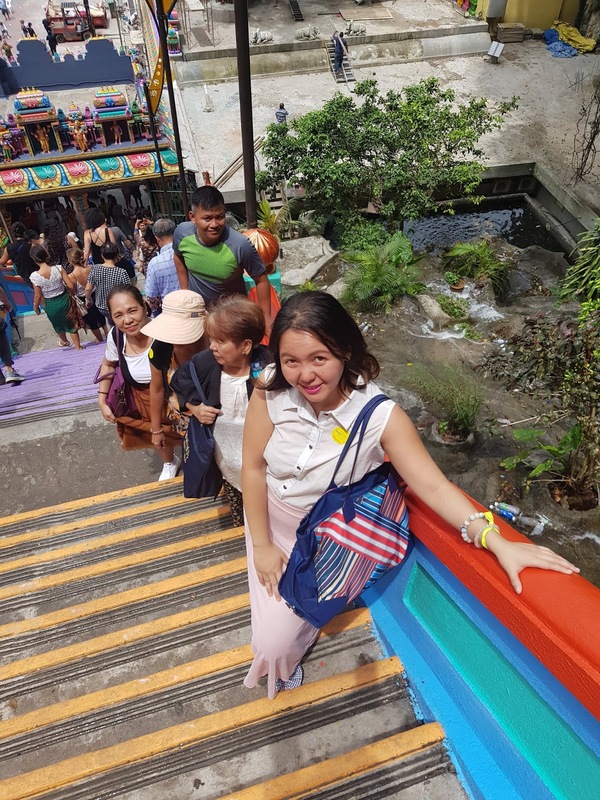 There's still a lot more to see in this country and I definitely would like to come back to explore but for now, I'm just happy to have seen what I've seen together with my mom who deserved this rest and relaxation from her ever so busy life in Manila.